UFI Hydraulic Division is glad to inform you that our completely updated and renovated Cross Reference is online: let’s try this useful webtool and give us your feedback! The new system is in line with the new website graphic and with the corporate image of UFI Filters Group and is even more user-friendly than the previous version. 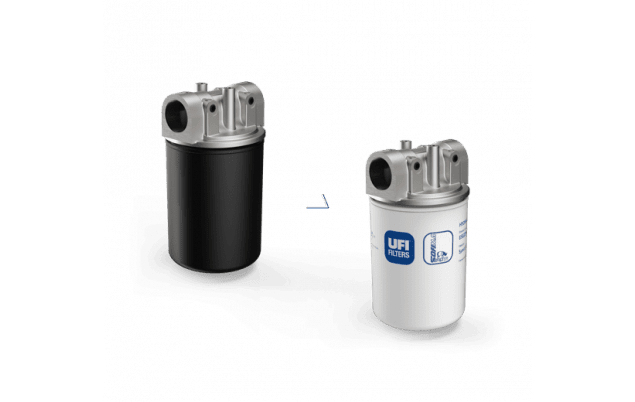 The users can enter a competitor’s part number, even partial or uncomplete, in the search bar and they will quickly and easily find the UFI Hydraulic equivalent filter element. The whole process is effortlessly accessible also from tablet or smartphone. Once you have found the right product for your need, you can immediately look for for the nearest retailer in your area or send us any enquiry using our contact form, directly from the research result page. One of the most important improvements of this new release is that we increased by four times the available UFI part numbers and equivalences compared to the previous version. The updated UFI Hydraulic Cross Reference contains more than 4.000 codes that can replace up to 20.000 competitors’ filter elements. All UFI filter elements, both original and interchangeable ones, are subjected to the same rigorous tests and manufacturing process in order to meet the most demanding OE, OES and Aftermarket requirements. In many applications, UFI alternative elements even exceed the performance of the original part number! Please consider that our Cross Reference is being continuously updated: our aim is to add at least 500 new equivalencies per year. If you do not find the item you are searching for in our webtool, send us an e-mail with the competitor’s code at info.ufihyd@it.ufifilters.com. We will be glad to help you finding the best solution for your need. Thank you for visiting UFI Filters Hydraulic Division booth at BAUMA 2019! Copyright © 2019 UFI Filters. All Rights Reserved.